Located in Rangeley, Maine, you’ll love Rangeley Lake Resort at any time of year. Springtime is wonderful; with lakes, rivers, and streams covering the landscape, fishermen flock to this area for all types of fishing. A mild summertime climate means enjoying hiking, canoeing, kayaking, waterskiing, fishing, golf, tennis, mountain-biking and much more. When the weather cools off and fall hits, the brilliant leaves are absolutely breathtaking in this part of the country. In the winter months, you can warm up with heart-racing winter sports like snowmobiling, snowboarding, and skiing. This area is home to Sugarloaf, New England’s best-known golf and ski resort. 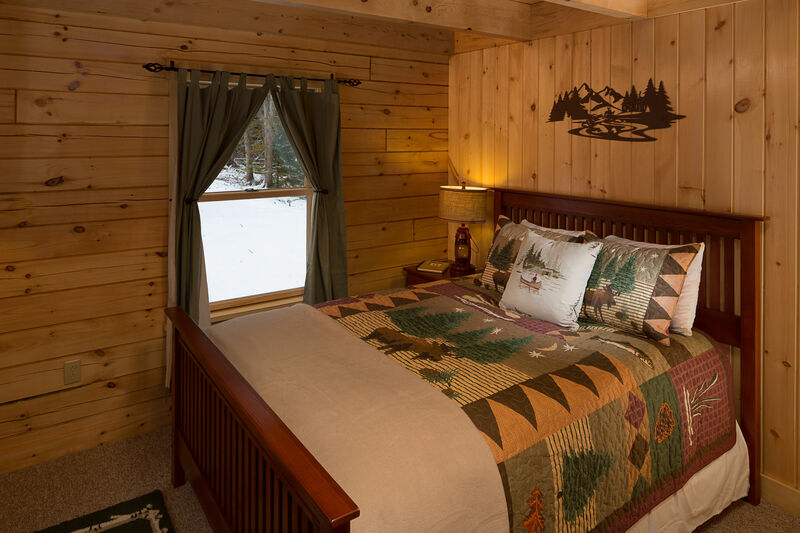 No matter what time of year you choose to visit, Rangeley’s two- and three-bedroom cabins are sure to help you relax after a day outdoors. Cabins have rustic décor and comfortable overstuffed furniture. Bedrooms are private and quiet and every cabin has a full kitchen, the perfect amenity for a longer stay. The resort has plenty of amenities of its own with a heated swimming pool, hot tubs, a cedar sauna, and access to a state-of-the-art fitness facility.